Maggie is the visionary, dreamer, and planner who is responsible for not only starting Bright Ideas Press but also a huge number of products. In fact she is able to have great ideas far faster than they can be produced! Encouraging moms is her passion. Maggie not only homeschooled both her children for many years, she also was the principal of Family Learning Academies in Delaware. So, she’s been there! Now she writes, speaks internationally, reads constantly, travels anywhere, and spends time with her husband & grandchildren. Maggie would describe herself as a word-nerd linguaphile, poetry geek, Trekker, ocean lover, and follower of Christ. Bob retired at the end of 2010 after 35 years with the Treasury Department. Now he fills his time serving at church, supervising all the bookkeeping for our businesses as CFO, and providing financial advice to several nonprofit organizations. In his free time, he loves playing with his six grandchildren and Scout (his beloved golden doodle), reading creation science books, scuba diving, bike riding, traveling with Maggie (his wife and best friend), and learning how to play pickleball. JB is a staff writer and the Chief Solutions Officer. He enlisted in the Army in 2001 and served for five years with the 3rd Infantry Division. Out of his experiences in Iraq came his first book, From Basic to Baghdad: A Soldier Writes Home. JB also put his writing gifts to work for our e-book, Writer’s Workshop. He is married to Christy Leigh Hogan, a marvelous, funny, animal-loving, Tolkien fanatic who will likely read this bio. They have two sons; Edge, who wants to be a dinosaur and Calvin, who would prefer to be a car. Tyler Hogan is the president of Bright Ideas Press. 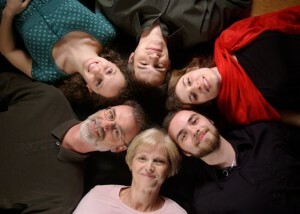 He and his wife, Helen, are both homeschool graduates and now homeschool their five adorable children. Tyler is the author of North Star Geography and Demystifying Learning Styles, head cartographer of WonderMaps, and game designer of Civitas. He is an elder at Grace Church, where he also serves as Christian Education Coordinator. When not at home, he speaks and teaches about homeschooling, geography, the arts, worldview, entrepreneurship, and other topics. In his spare time, he loves reading good books, playing games with friends, drinking good tea, and enjoying the adventure of lifelong learning. He has a BA in theatre ministries from Belhaven University. When you call us, you will probably reach Beth Barr, our Director of Logistics. Besides being our pastor’s wife, our friend, and JB’s mother-in-law, she is the one who keeps things moving around here. Beth can answer a phone call, take an order, pack a box, drink tea, and juggle papers all at the same time! Susan serves the BIP family as our Chief Operating Officer, playing shortstop for Tyler and Bob with operations, reprint management, finance, marketing, and customer service. Susan met Maggie and Bob early in her homeschool journey, and God planted a seed for our paths to converge years later. Nestled in the foothills of the North Georgia mountains, Susan and her sons can be found hiking waterfall trails, baking late-night cookies, and discovering their next creative pursuits. Susan is also dedicated to political activism and legislative lobbying for educational, parental, and religious freedoms. 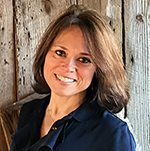 Charity serves BIP as the Director of Sales and Customer Care where she is blessed to work from her “farm-office” in Bryan/College Station, Texas. Charity is an 18-year veteran homeschool mom and served homeschoolers for many years as director of Texas Home School Coalition conventions in the Woodlands and Arlington, Texas. She is passionate about parental involvement in education and equipping families to build Christ-centered families. Additionally, we have a wonderful group of interns, editors, graphic designers, writers, representatives, and part-time office staff without whom we would be sunk. We’re so grateful for the amazing people God has brought into our lives and our office!